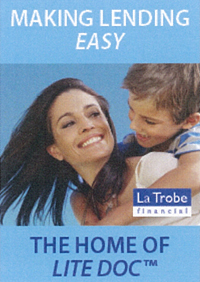 Since 1952 La Trobe Financial has focused on a disciplined philosophy, shaped by over 60 years, of “clients come first”. 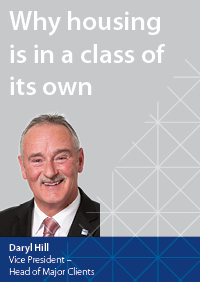 Our role as a credit specialist is not to be “all things to all people” as others try and have failed, but to clearly focus and deliver on the best and most innovative products to meet the needs of our customers. All of our loan broker and financial adviser clients are looking for reliability; reliability of staff, reliability of products, reliability of service and our experience suggests service is paramount in their choice of provider. 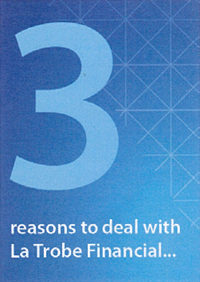 We just don’t state this, but practice this every day in every aspect of our dealings with third party loan originators or financial advisers from the very moment they contact us. We refuse to have automated answering machines, and are better positioned with our specialist senior staff and group wide expertise and commitment to deliver exceptional service. Our driving principle is that it is far more important to have solid relationships that are serviced very well in our operations than to be big. We have been a proven and trusted partner for brokers and borrowers alike covering circa A$10 billion of funded loans and over 120,000 customers since our beginning. Leading the industry in innovation is also an important objective for us and is at the very core of our operational values. This approach and the management outcomes are now being consistently recognised by others both here in Australia and overseas, as being some of the very best practices and outcomes globally for our selected asset class; an accomplishment of which we can be justly proud. Last Friday night in Hong Kong, the 28th February, the International Alternative Investment Review (IAIR) Global Awards were again held recognising some of the world’s best in wealth management, brokerage and asset management. The Gala Global Awards’ Dinner was held at Sheraton Towers in the heart of the financial district of Hong Kong and was attended by over 500 people covering fund managers, international banks, law firms, family offices and institutional investors. Award category winners are chosen through a survey of over 50,000 investors worldwide and then reviewed by a judging panel for the best firms globally in finance, economy, and with a focus on repeatable performance over time. Australia was this year again represented in the winner’s circle by credit specialist La Trobe Financial. This represents the second consecutive year the Award for Excellence in Mortgage Fund Management was awarded to La Trobe Financial. La Trobe Financial’s guests on the night, who shared in the celebrations, were Franky Chung, Vice President Hong Kong Stock Exchange, Eric Pong, Director of HSBC Private Bank, Su Wei, Vice President CIC International, Betty Ng, General Manager Agricultural Bank of China, Eason Zhuang, International Project Manager Noah Holdings, Eric Lee Executive Director, Guo Tai Jun An Securities just to name a few. In Hong Kong to receive the awards, La Trobe Financial’s President & CEO Greg O’Neill said,… “Our core values and a thorough understanding of the business environment all play a significant factor towards the success of La Trobe Financial. We are very proud to accept this second International Award on behalf of our 125 staff and business partners who make these awards possible”. Accompanying Mr O’Neill at the Awards function was the group’s Hong Kong based Director Mr Hung Fei Chan, who made mention of La Trobe Financial’s solid and outstanding performance during the recent uncertain economic times. …“This Award highlight’s the very innovative approach and consistent performance offered by La Trobe Financial”… said Mr Chan. La Trobe Financial’s structure and our stable senior team are key reasons La Trobe Financial never had to freeze, restrict or delay loan settlements or any investment redemptions at any time in our 60 years of operation. Interestingly this is not the first time La Trobe Financial has been recognised. In 1986 La Trobe Financial was awarded the Prime Minister’s Award for Innovation in Housing Finance presented by the then Prime Minister the Hon R.J. Hawke. In 2009 it was awarded the Top Ranked Mortgage Fund in Australia by AFR Smart Investor Magazine, part of the Australian Financial Review. 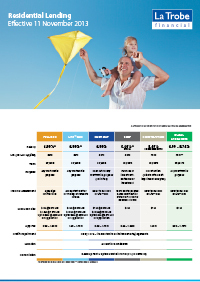 In 2011 it received the much sought after Victorian Innovation in Funds Management Award at the Melbourne Financial Services Symposium, and for the past five years, 2010, 2011, 2012, 2013 and 2014 we have been rated as operating Australia’s Best Mortgage Fund for our Pooled Mortgages option judged by respected financial journal Money magazine. No other fund manager or mortgage fund has ever received five consecutive awards of this kind. Recently in February 2014 the Australian Lending Awards were held in Sydney at the Four Seasons. 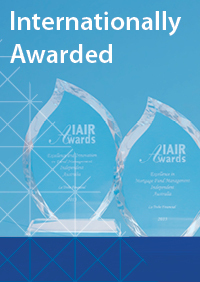 These Awards are Australia’s only awards dedicated exclusively to achievement within the mortgage lending industry. 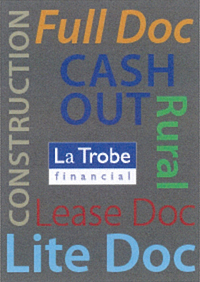 La Trobe Financial was also nominated at these awards as Finalist for Best Specialist Lender for 2014. The Awards are hosted by RFi, a global provider of business intelligence focusing exclusively on financial services. RFi provides clients with tailored advice and independent intelligence relevant to their specific markets and business needs. La Trobe Financial’s Victorian Senior Manager Client Partnerships Michelle Bannister has also been recognised over two consecutive years as Australia’s Best BDM. The Mortgage & Finance Association of Australia (MFAA) Excellence Awards were held at the Westin Hotel in Sydney on Friday, 28 February. The MFAA represents some 9,500 mortgage brokers. The awards recognise Australia’s outstanding performers in the $1.4 trillion Australian mortgage market, and over 500 attended the black tie event. 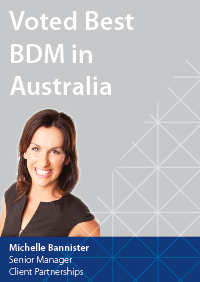 BDM of the Year 2014 went to Michelle Bannister, Senior Business Development Manager at La Trobe Financial. Michelle has worked at La Trobe Financial for 18 years, is a mother of two, daughter Remy nearly 3 years old and Billy nearly 1 year old. 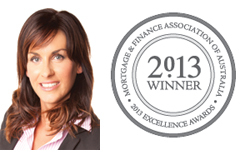 She is also a multiple nominee and winner of both La Trobe Financial’s Hall of Fame award (2002) and Business Development Manager of the Year award (2011) as well as last year’s winner of the 2013 MFAA Excellence Awards for BDM of the Year. “I am really humbled to be recognised again by my industry peers in this way for doing what I enjoy ...my job. I am very passionate about working with every one of you in this incredible and dynamic industry After 18 years I still enjoy working with brokers directly and also it allows me to coach and mentor new entrants into the market. This is a benefit to the industry and all of our customers. These professional relationships are built on trust, reliability and delivering exceptional service and La Trobe Financial is able to deliver that in spades... thank you for this great honour. We have a team of really exceptional Business Development Managers ready to help you who believe in their products’ and our company”. 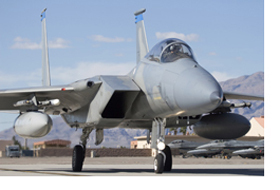 To contact your nearest La Trobe Financial Top Gun BDM, click here. 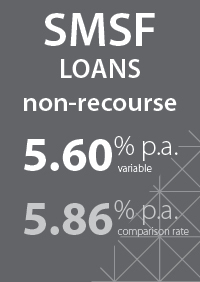 Our market leading retail investor Mortgage Fund offering continues to outperform when most other retail investment funds in this sector had to freeze, wind-down or close their books to new investments following collapse. 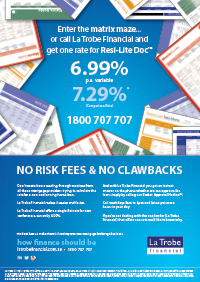 Our award winning pooled mortgages option (the La Trobe Fund”) has outperformed all other mortgage funds over all time periods and has fully met 100% of all investor redemption requests and has now done so for the past 10 consecutive years. The La Trobe Fund has been again judged the Best Mortgage Fund in Australia by the personal finance journal Money magazine in 2014 and this is the first time in the Money magazine’s history that a mortgage fund has achieved this 5 times. During the Global Financial Crisis (GFC) we were all reminded of the importance of trust and confidence when we are faced with volatile funding and investment markets. we will recruit and retain the best staff in terms of qualifications, training and experience to provide you leading service at all times. La Trobe Financial is a true success story having managed over A$10 billion without loss to any institutional investors since 1952, and assisting over 120,000 loan borrowers and families attain the very worthwhile goal of homeownership. We have used good business sense to thrive in markets where many global giants have failed, proving that being solid is far more important than being big. 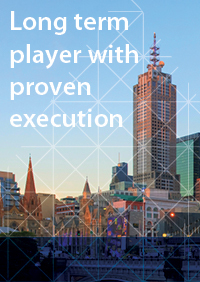 Today, the company boasts over 125 employees, manages Australia’s leading mortgage fund, originates in excess of $1 billion of investment grade mortgage assets annually, and continues to serve with distinction brokers, loan borrowers who need to finance their investment or home purchase dreams, and financial advisers and retail investors looking for a capital stable vehicle for investing. A sterling effort really…from a quiet achiever that has become a household name in the credit specialist sector of the Australian financial market.